PROVIDENCE, RI -- Two best friends from Rhode Island are living their dream of making an epic zombie movie and becoming celebrities. Sam Suchmann and Mattie Zufelt, both 20, have Down syndrome but Suchmann said that didn't get in their way. He said it just causes them to think slower than others. 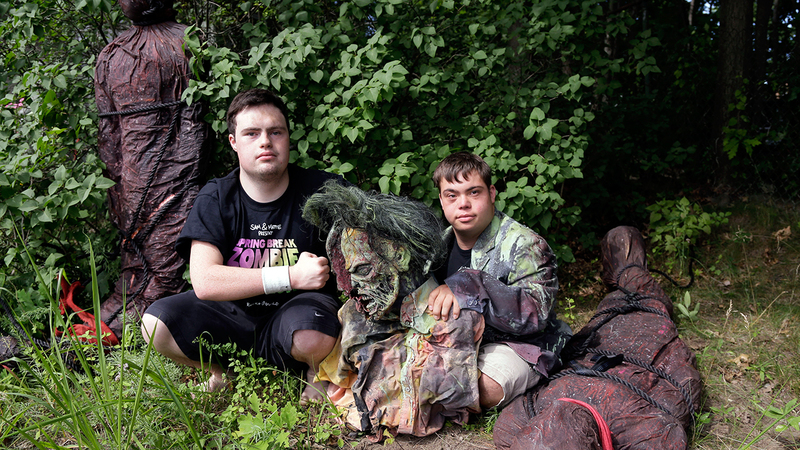 Their movie, "Spring Break Zombie Massacre," premiered in Providence, and they've been invited to several film festivals. They also are scheduled to appear Thursday on Conan O'Brien's show.